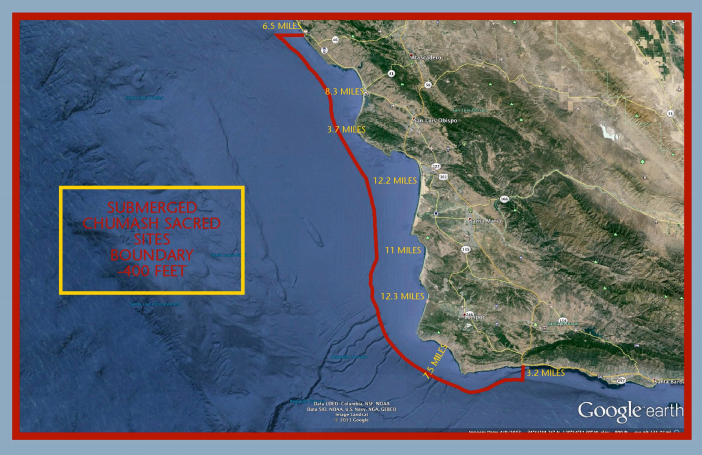 This area of proposed protection, between the Channel Islands National Marine Sanctuary and the Monterey Bay National Marine Sanctuary and out to the western slope of the Santa Lucia Bank, warrants protection under the National Marine Sanctuary Program for the purpose of embracing the Chumash concept of “thrivability” wherein a deep understanding of this unique and precious marine environment is embodied within its local human inhabitants. 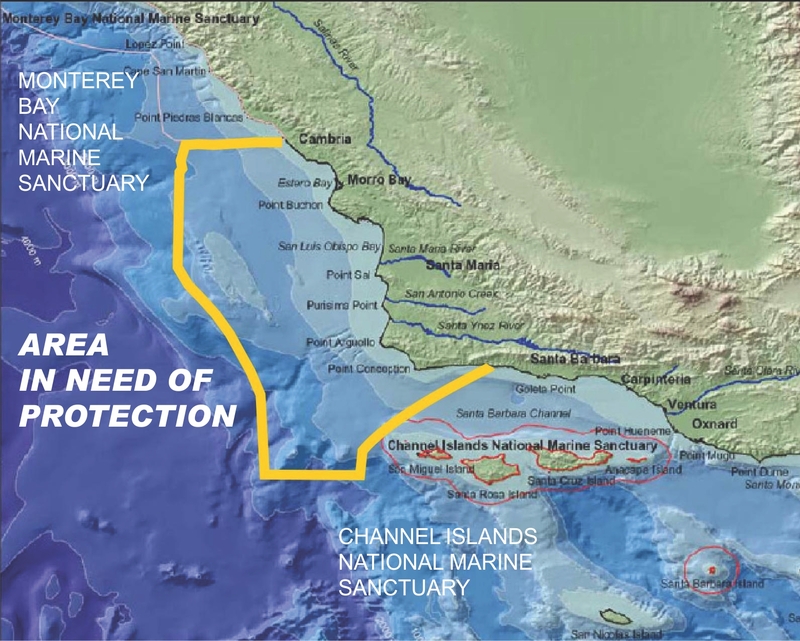 The Marine Sanctuary will not regulate harbors, recreational or commercial fishing. Visit Chumash Sanctuary website for more information.